A decade has now passed since the release of Twilight Ritual, the second album from Little Rock's Deadbird. Though much has changed in the metal world since then, ten years on the band remains steadfast in their ability to sculpt heartwrenching and gutsy songs from the deepest, darkest places within. 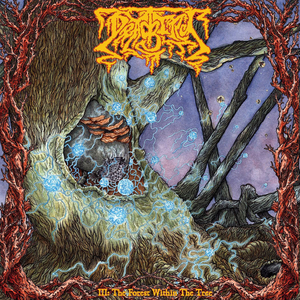 Years of toil and scorched southern soil went into the band's third album III: The Forest Within The Tree, resulting in forty haunting minutes of emotive turbulence and resolute grit. An intense listen from the outset, after "The Singularity" intro, the one-two punch of "Luciferous Heart" and "Heyday" carry the weight of the grandiose and the grave, burning with furor and primordial light. At times dipping into quietly morose acoustics and at others crushing with a Neurosis-like magnitude, Deadbird offer the scope of the world weary and of sentiment laid bare on compositions like "Brought Low" and "Bone & Ash." Ten years is not a short time between albums, but the passing of years have solidified this band into an entity well versed in the art of vigilance. The eight tracks comprising this release are their best to date and signal the awakening of new day for the band.